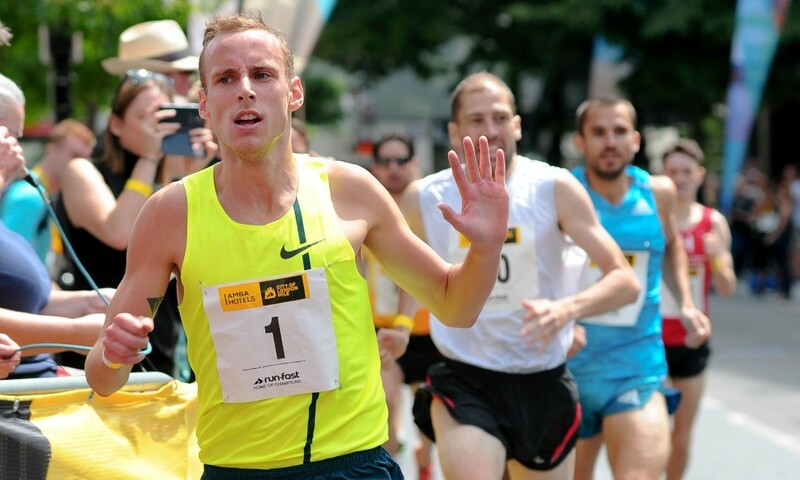 Australia’s Commonwealth Games-bound athletes Ryan Gregson and Genevieve LaCaze won the first ever Amba Hotels City of London Mile which made an impressive impression for its inaugural running with thousands taking part in various waves and age groups. The BMC races, which started outside St Paul’s Cathedral, saw 3:31.06 1500m runner Gregson narrowly hold control but Chris Warburton pushed him all the way to the line and shared the winning time of 4:04. Gregson, who runs the 1500m in Glasgow, won £1000 for winning and gained a £500 bonus for breaking 4:05. Warburton won £600 for second and an extra £400 for a sub-4:05. Wales’ Chris Gowell took third in 4:05 while World Masters champion Anthony Whiteman suffered an off day and finished 15th in 4:22. Gregson’s partner Genevieve LaCaze, who is running the steeplechase in Glasgow and has run 9:37.16 this summer, kicked to victory in the women’s race taking first place in 4:44. That gave her a £1000 prize but was outside the 4:36 required for the £500 bonus. Her 1500m PB is an useful 4:10.29. 800m specialist Selma Kajan finished strongly to make it an Australian one-two and she pipped Scotland’s Morag MacLarty and their respective times were 4:45 and 4:46. Triple World Masters W50 Champion Clare Elms was first veteran in eighth in 5:14 ahead of W45 World Masters 1500m champion Bernadine Pritchett.